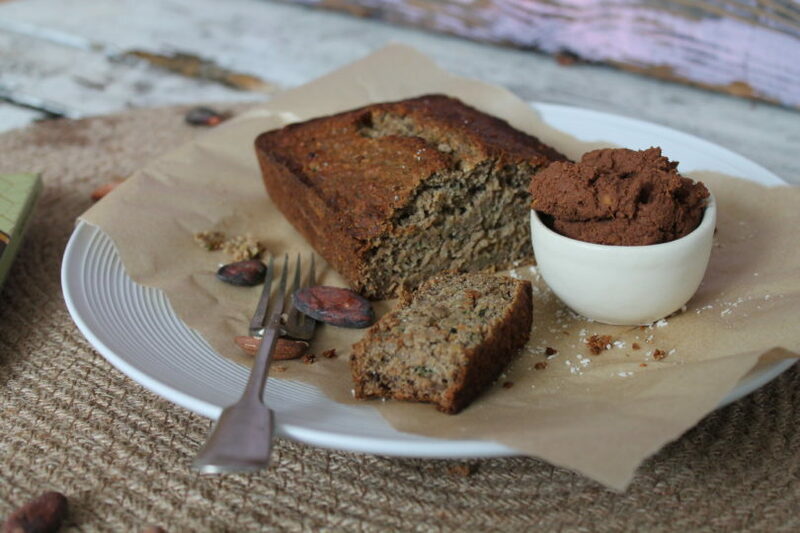 Banana bread is our go-to for energy, yet it still feels like a real indulgent treat. It’s become so popular that you can see it now on nearly every café menu and blackboard but it’s so simple to make so why not try it yourself at home? Preheat the oven to 180c and grease the loaf tin. Mash the bananas well in a large bowl until they are gooey and soft. In a separate bowl, beat the butter and sugar until it’s light and fluffy. Next mix in the eggs to this. Chop up your chocolate into small chunks. Now add the mashed bananas and chocolate to the large mixture and stir well. Stir in the flour through a sieve, then the maple syrup. Once this is done you can scrape the mixture into the tin and bake for 30 minutes. When you reach this time, lower the heat to 150c and bake for a further 10 minutes until it’s golden brown. It’s not compulsary but we made a quick sweet potato and MIA spread too. Simply boil your sweet potato until soft, melt some MIA and mix together. If you want something sweeter, add a dash of maple syrup. Pure bliss!